Welcome to Woodland Camp, a 17-acre event centre on the border between London and the beautiful Essex countryside. Woodland Camp is owned and run by Amana Trust which is a registered charity dedicated to advancing the Christian faith and to educating people in relation to that faith. We use the facility for our own retreats and conferences and make it available to other groups so that they can also enjoy this wonderful venue. 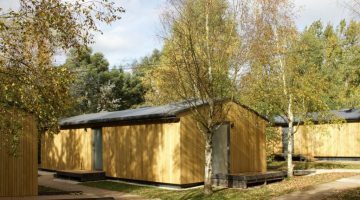 The facility at Woodland Camp includes 3 en-suite, heated, and air-conditioned cabins with each cabin having three bedrooms. The bedrooms sleep between four and six people and there is a total sleeping capacity for fifty people. In addition, Woodland Camp has a meeting and dining facility which can comfortably accommodate 50 people with additional outdoor, covered dining space and a fully equipped kitchen. 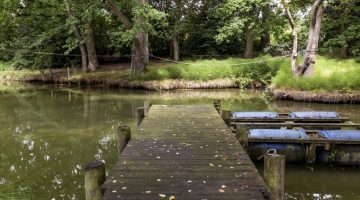 The property sits in a 17-acre wooded valley with views across its own ponds and the Essex countryside. There are ample lawn areas which are perfect for team activities and many private areas to enjoy a moment of peace or quiet conversation. We have plans and permission to develop the site further over the coming months and years, and in time the property will have one large central hall and up to an additional 42 cabins across the site. The cabins will be arranged in clusters with each cluster having a small central meeting and food service cabin allowing multiple events to take place at the same time. To view the current and future plans, please visit www.amanatrust.org.uk. 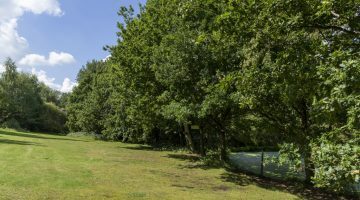 Woodland Camp is a short four-mile, ten-minute drive west through the countryside from Bower House. You can find us at: Woodland Camp, Manor Road, Lambourne End, RM4 1NB. We would be happy to show you around the property and welcome you to contact us to arrange a viewing. Please note that currently we can only accept visitors with an pre-arranged appointment.